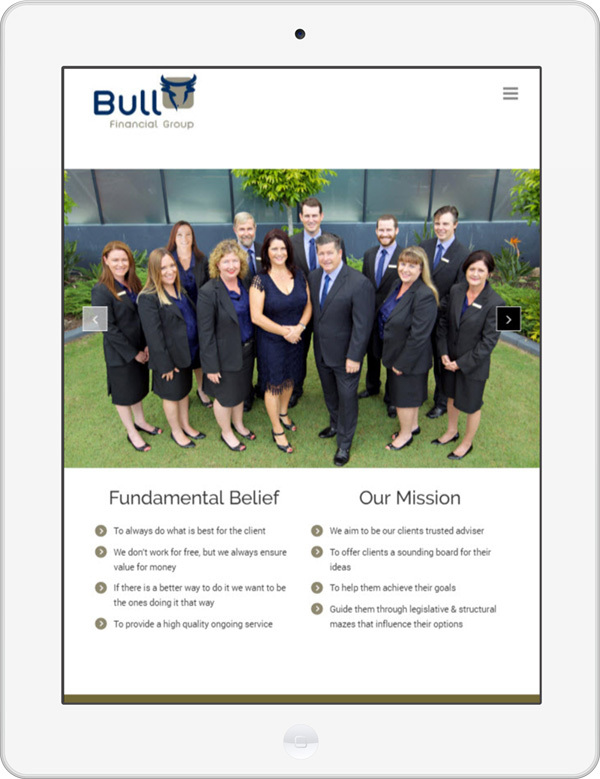 Bull Financial Group had an existing website but it had been a very long time since it was updated. Bull were unsure how to make changes or even if they could. 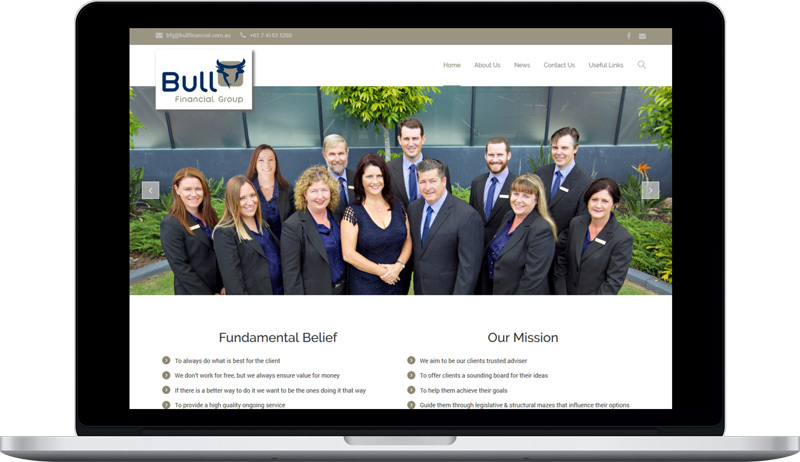 We implemented a WordPress website for Bull Financial that provided the simple, clean lines they were after, adding new content, photos and recent news. Bull Financial Group website is also integrated with Mailchimp for future mailouts.